The 2014 Chicago Marathon will be Stride blogger Joey Mandeville's first 26.2 mile experience. He'll be sharing his training regimen and thoughts leading up to the big day here on the blog. Planning to run your first marathon, much like the marathon itself, is a large and intimidating undertaking. Thousands of sources dictate how, when, and how much you should run every day, week, and month. Numbers begin to add together and pile up/ daily distances become weekly goals, single digits become double, and, if you pull back far enough, you see a total pre-marathon mileage that would not look out of place in the bottom corner of a GPS at the start of a long road trip. But as a first-time marathoner currently signed up for the Chicago Marathon in October, I needed to deal with this large, intimidating planning problem. Marathons, as it turns out, need to be taken seriously. Michael Morrow, a physical therapist for Athletico, discusses injury prevention and knowing the difference between a serious injury and one due to fatigue. And luckily, I found a way. Training for a marathon, like anything else, is best approached by breaking the process up into pieces. I imagine this method works quite well for all first-time marathoners like me, whom I have pictured in my head like tiny, frightened baby bunnies. I don't start my days by telling myself, "I am now going to train for a marathon." I focus on how much I'm going to run that day, and I remind myself that the other hundreds of training sessions will be my problem on those other days, but not this one. This method helps keep things in perspective by keeping that perspective tight and focused. And a similar focus applies well to those thousands of training plans for running a marathon. I pulled out the simple themes that resonate across all the plans, which are always going to be somewhat idiosyncratic to the runner writing them. Why else would there be thousands out there? CARA Executive Director Wendy Jaehn talks with Mike Adamle about stepping up your training routine with tempo runs. Obviously, you have to run a lot. Make your runs consistent in increasing mileage each week, but not more than a 10 percent increase any week. Right before the marathon, I aim to be running around 50 miles or so a week. 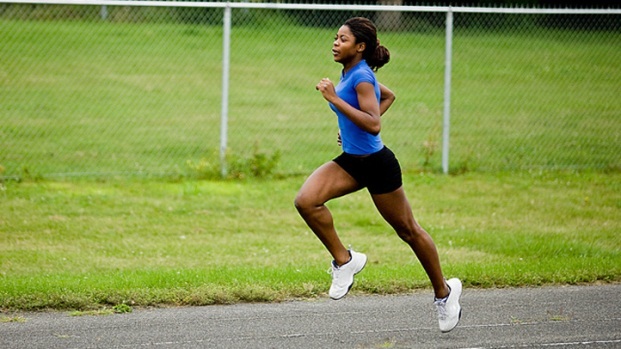 Add speed work and interval training to your runs, and have one long run planned every week or every other week. For the long run, go more slowly than usual, and have water handy. Listen to your body, and give yourself time to recover, especially after the long runs. Don't make radical changes to your running routine for the race. Make sure your running shoes are well broken-in, and don't add a water-belt, or GPS watch, or new running shirt, or anything at all that you haven't gotten used to in your training. There you have it. I can't break the marathon itself into pieces (unfortunately), but your training plan breaks down into one day at a time. Embrace that. After all, sometimes it's nice to see the trees and forget the forest.